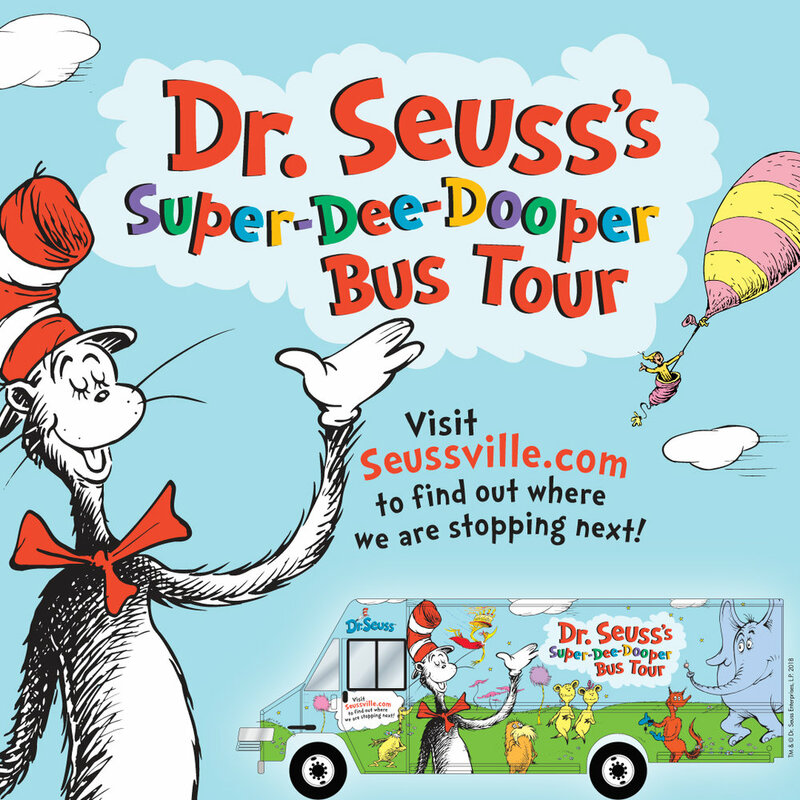 Hooray for Books!® is thrilled to host a stop for Dr. Seuss’s Super-Dee-Dooper Bus Tour 2018! The bus will provide an interactive, museum-like experience that celebrates imagination and fun in the way that only Dr. Seuss can. Events will feature a walk-through interactive exhibit starring Dr. Seuss’s books and characters, kid-friendly activities, photo-ops with the Cat in the Hat costume and more! Bus will be parked at the Princess Square Apartments parking lot, just a few blocks away from the bookstore.